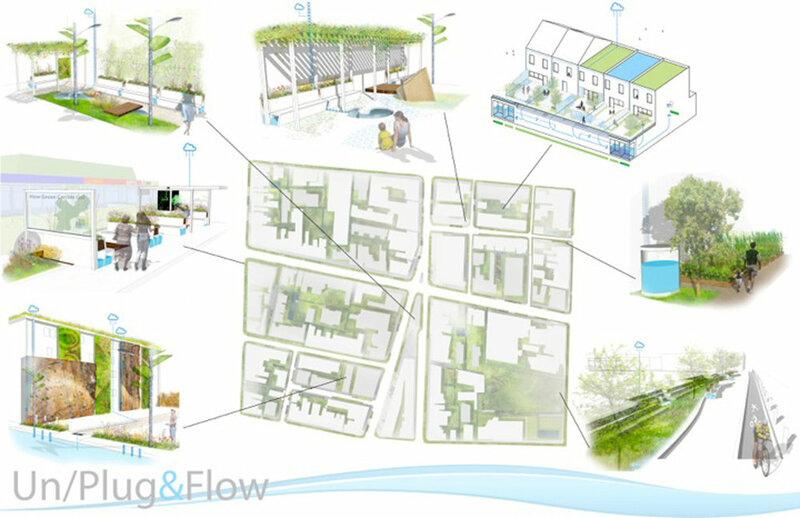 We joined an international team of young professionals to propose “Un/Plug&Flow” for the 2013 Soak It Up Competition sponsored by the Community Design Collaborative, Philadelphia Water Department, and Environmental Protection Agency. 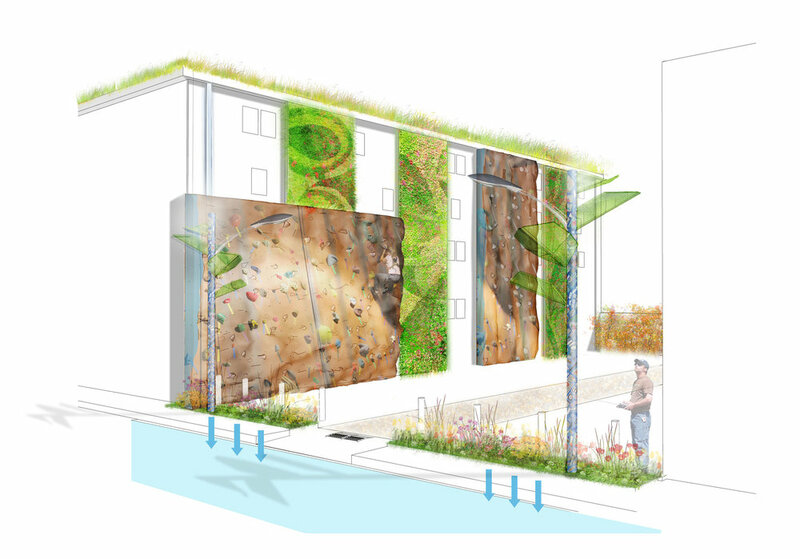 Participants explored inventive, green stormwater infrastructure solutions for Philadelphia. 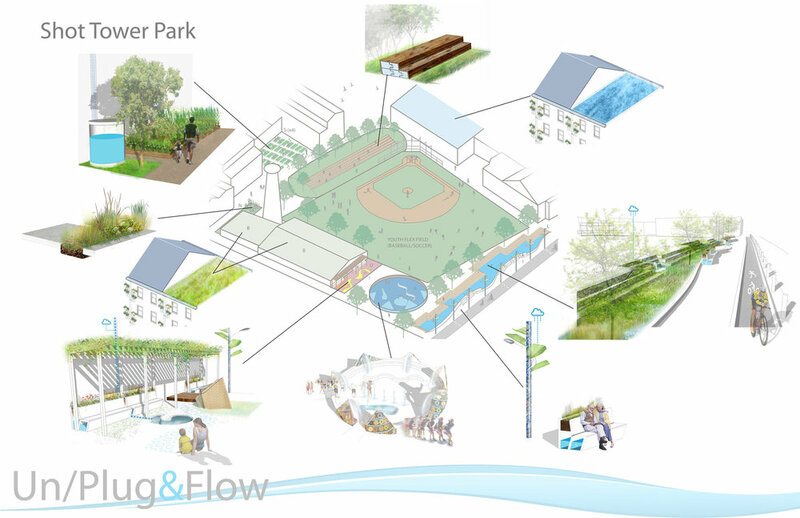 Locus Partners played a leading role in establishing the project concept: a kit-of-parts solution applicable in any Philly neighborhood as individual DYI installations, to aggregate with neighbors, or to accumulate into civic, community-engaging enterprises. 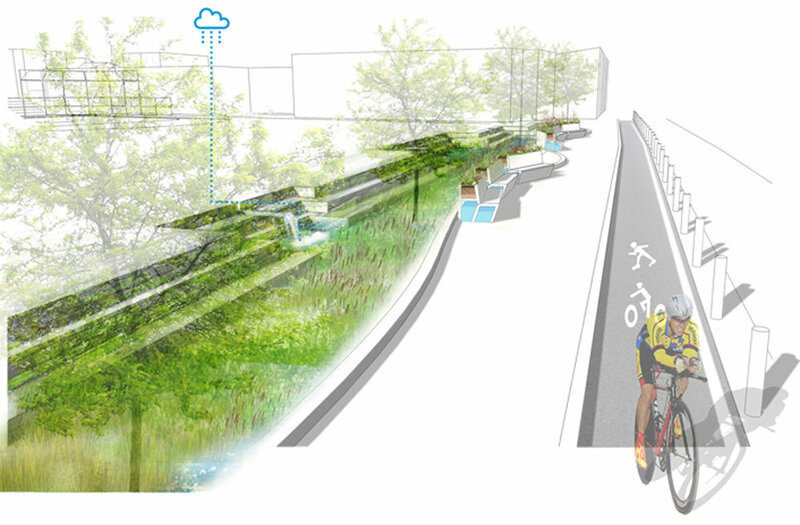 We initiated and refined the streetscape and open space design solutions, and led the team’s proposal narrative. We directed the award ceremony presentation for the team and presented at the PechaKucha style competition of finalists. 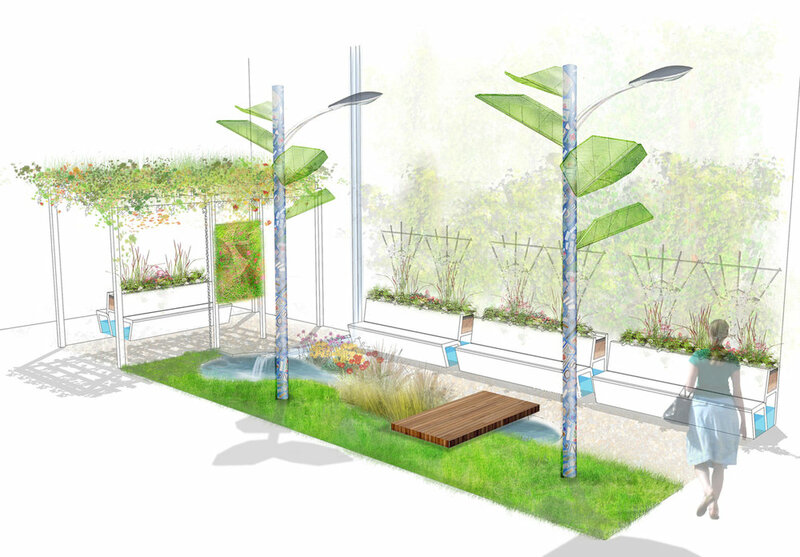 The work shown here is the collective effort of the Competition Team.